Camping World has a lot to offer. use, and has been the industry standard for more than 10 years. campground and RV Park information. 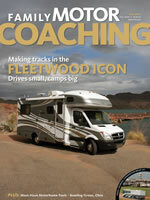 and technical information to enhance your enjoyment of the RV lifestyle. RVer who owns a Class “A” or Class “C” motorhome. A magazine that covers a portion of the United States in each of it issues. Has information on RVing news and events.